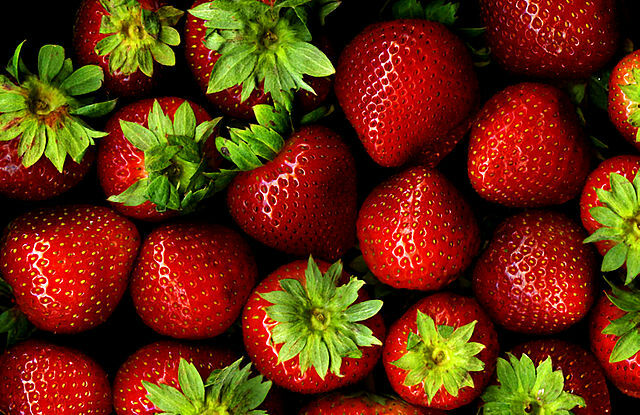 Where have all the strawberries gone? Neighboring Lebanon, Oregon hosts a Strawberry Festival each June, which FCSJ student Minnie O'Grady has attended annually for almost twenty years. While thinking about her capstone project, Minnie realized that in all those years she'd never eaten a strawberry at the Strawberry Festival. Being the curious type, she decided to find out why Lebanon has a Strawberry Festival and why its namesake fruit doesn't feature more prominently. Read what Minnie discovered in a piece she wrote for the Lebanon Express newspaper. Did you know OSU's University Housing and Dining Services is committed to sustainable food sourcing?